Text © Rubens Modigliani. Images © Bruno Ehrs from Villa Balbiano: Italian Opulence on Lake Como, Flammarion 2018. Villa Balbiano has been reborn. Its rooms have regained their stately magnificence and its decorations harmonize beautifully with its timeless setting – luxuriant vegetation and the limpid expanse of water encircled by mountains. An ideal itinerary for discovering the villa begins on the ground floor – the original and oldest part of the villa – in the rooms and halls painted with mural paintings by renowned 18th-century Italian artists such as Giovan Antonio Torricelli and his school. The Sala delle Colonne, the heart of the villa, features splendid late 17th-century frescoes by Giovan Paolo and Raffaele Recchi, and four late 18th-century frescoed busts by Francesco and Gaetano Cartosio. 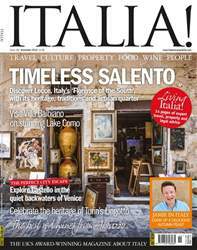 When it comes to planning a holiday, so much of the enjoyment comes in the anticipation, which is why we have packed the issue with plenty of inspiration for your next trip to Italy, whether you’re going this year or next. We were intrigued to find out about the papier-mâché (cartapesta) tradition of Salento on our visit to Lecce, the ‘Florence of the South’. 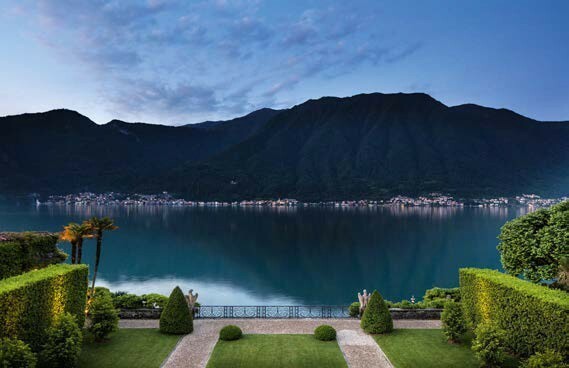 Lake Como is breathtaking whatever the season, and a visit to Villa Balbiano, now restored to its former opulence, is a must. November subscription offer – your free book worth £25!